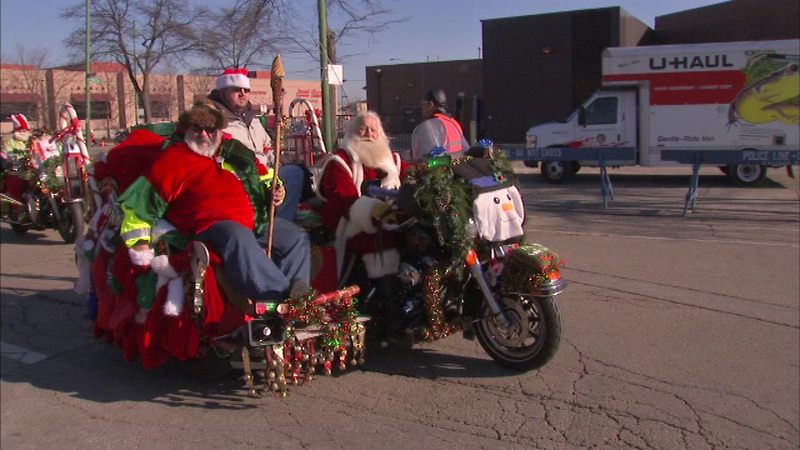 Dozens of motorcycles rumbled down Western Avenue Sunday for the annual Chicago Toys for Tots Motorcycle Parade. CHICAGO (WLS) -- Dozens of motorcycles rumbled down Western Avenue Sunday for the annual Chicago Toys for Tots Motorcycle Parade. Governor Bruce Rauner also took part in the ride, which ended at DeVry University on Chicago's North Side. All the riders carried toys that will be donated to children and families in need across the Chicago area. "This tradition we do every year is one of the great traditions in America," Rauner said. Gov. Rauner and his wife are also donating $5,000 to the Toys for Tots program.